Announcement Use the coupon code ROYALQUARTZ to receive a 5% discount on your order. Use the coupon code ROYALQUARTZ to receive a 5% discount on your order. Sweet Ambrosia Facial Mask by Royal Quartz. Facial Mask . Exfoliating . Even Skin Tone . Skin Reviving . Skin Nourishing . Radiant Skin. Facial Moisturizer by Royal Quartz . Medium . 0.5 Oz . Glowing Skin . Clear Skin. Facial Moisturizer by Royal Quartz . Small . 0.25 Oz . Glowing Skin . Clear Skin. Very good moisturizer! I love that it is oil free and it has not made my face break out! Would you like me to do a before and after photos. Just received my purchase! Thank you for the gift. Let me know about photo because I can take one now and one in a month. You can use this to promote product. Undereye Lightener by Royal Quartz . 1/2 oz . Get rid of those pesky dark circles . Tired Eyes . Anti-Aging . Under Eye Treatment . 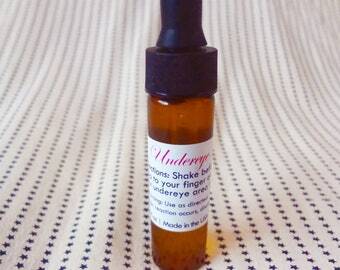 The 1/4 oz bottles of our Undereye Lightener have been restocked. Is your craft or jewelry project missing a little something? Try adding our electric blue miniature chocolate bars. Available in our Etsy store under 'Blue Chocolate Bars'. Welcome to the Royal Quartz's Etsy store! Explore our diverse array of beauty and skin products, as well as our unique and handmade jewelry and deco/crating items. If you're interested in building a gift basket for yourself or a loved one, feel free to contact us. We would be happy to work with you to create a basket full of spectacular Royal Quartz items anyone would love to receive. While we do accept items for return, we only accept items that are made by Royal Quartz. This excludes any product that is not indicated in its description or by it’s category as being produced by Royal Quartz. We accept returns for Royal Quartz products bath and body products if the incorrect item was shipped and if the item itself still has a protective seal that isn't broken or missing. We also accept returns for Royal Quartz jewelry if the incorrect piece of jewelry was shipped. If you would like to return a product (that has its seal intact), please notify us before hand. Send us your name (first and last), your order number, the name of the item being returned, and the reason for the return. The item will need to be returned within 7 business days of it initially being delivered. After the item has been returned and processed, your refunded money will be sent to you through PayPal. You should expect to receive your refund within 48 hours of us receiving the returned item. We'll notify you via e-mail of your refund once we've received and processed the returned item. We accept PayPal payments and direct through Etsy credit card payments. Orders will not be shipped until payment clears. Our standard shipping for this store is First Class mail for domestic and international orders. Orders from U.S. (domestic) customers may be shipped using USPS Priority mail. The shipping fees for our items include the USPS shipping fee, delivery confirmation (for domestic orders), and packaging material that we have to purchase. When using coupon codes, make sure that enter them into their designated field during checkout so that it is automatically applied to your order total. Coupon codes entered into the comments box are not applied. During the checkout process, the designated field for coupons code is identified with the text "Apply shop coupon code". If you're having trouble applying an active and valid store coupon code, send me a message. • If necessary to comply with a legal obligation or court order or in connection with a legal claim, such as retaining information about your purchases if required by tax law; and. • Service providers. I engage certain trusted third parties to perform functions and provide services to my shop, such as USPS. I will share your personal information with these third parties, but only to the extent necessary to perform these services. For purposes of EU data protection law, I, TJ Evans, am the data controller of your personal information. If you have any questions or concerns, you may contact me through Etsy's messaging systems or at general(at)RoyalQuartz.com.